The Resident Tourist: Putt Putt Park . 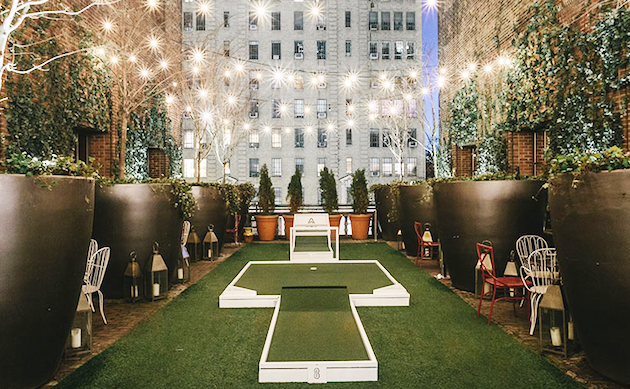 . .
Spring has finally arrived in NYC, you can feel it in the air... The sun is shining, the temps are up, and the whole city has a little extra pep in its step. 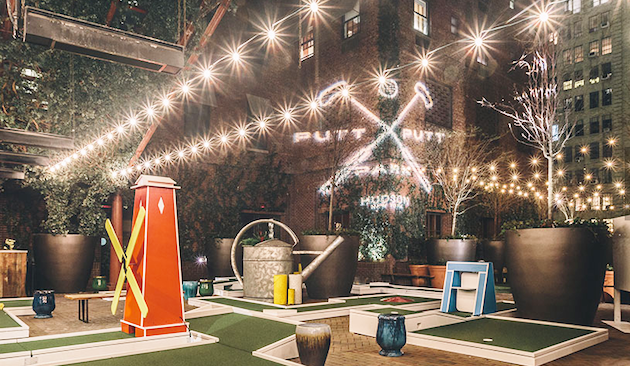 Tomorrow the Hudson hotel is ringing in the season by launching a pop-up mini-golf course on it's rooftop, dubbed Putt Putt Park. The good news? 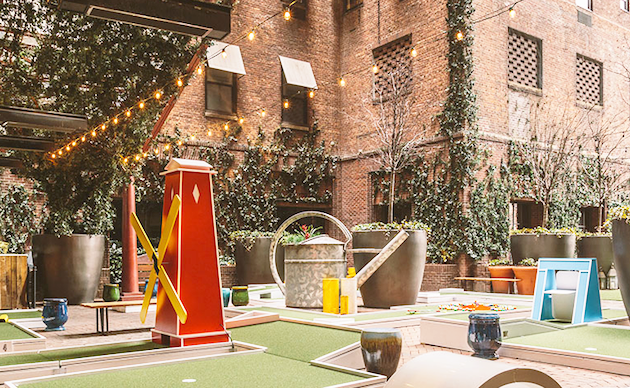 Putt Putt Park is open to the public: For $10 a person you can play 9 holes of mini golf and indulge in Masters-themed treats, like the classic Pimento Grilled Cheese or a spiked Arnold Palmer. The bad news? It's only around for the a month: So if you can't make tomorrow's launch, be sure to check it out before the end of April. 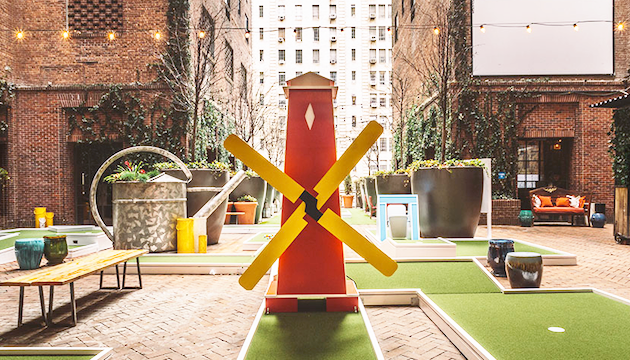 Come May, mini-golf is out and Tequila Park is in - which is a whole other reason to celebrate, but let's not get ahead of ourselves. Happy spring, thanks for reading!